ABEC is a global leader in student counseling for educational opportunities and international educational services. We help students to make their dream of studying abroad a reality. As an award winning educational visa consultants, we strive to connect students with the right course in the right university in the ideal country which will lead them to a successful career life. 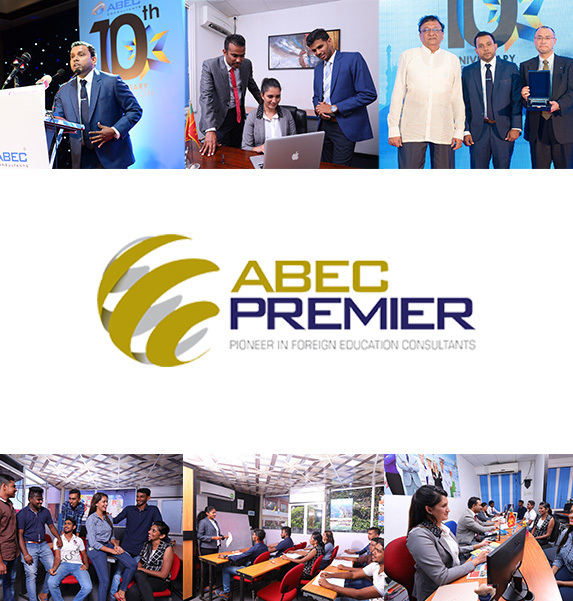 ABEC team facilitates students to obtain affordable yet well-recognized overseas higher education. Our team of experts guides students from the start to the very end of the process. Our vision is to be one of the leading education consulting firms that guides students with dreams to study abroad and help them achieve their dreams through proper advice and study options. As an education consulting firm with 13+ years of experience and a global network with many recognized universities, we provide the most professional and reliable advice and information. We are proud to announce that we have won many awards through the years of hard work and the trust earned by international universities and students!